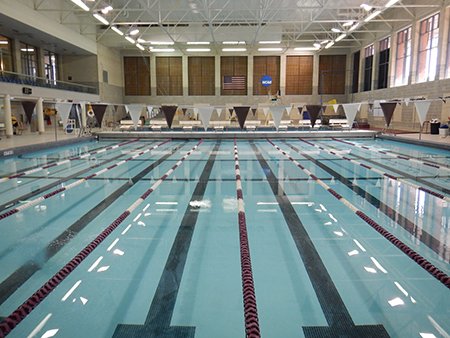 Trinity University commissioned Counsilman-Hunsaker to provide a swimming pool audit for the university’s two aquatic facilities, an indoor 25-yard “stretch” pool with a diving well, and the outdoor 50-meter L-shaped pool. The aquatic facility audit identified items that were substandard in the pool, items not up to current industry swimming pool design standards, and equipment not operating as designed. 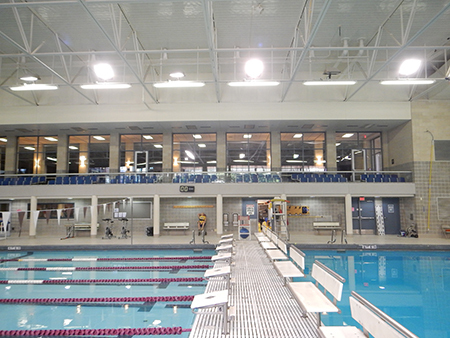 To assist in defining a course of action regarding the future of the facility, an opinion of probable construction cost was provided for recommended repairs to bring the pools up to current industry swimming pool design standards. An additional study was based on staff interviews, the visual inspection during the site visit, an overview of Division III facilities, and conceptual options for consideration.